Made from:Avola almonds (95%), cocoa butter (5%). Some separation is natural. Simply stir before use. Our Almond Drink Gift Set contains three 150g jars of our Almond Paste and delivered in a practical, all-occasion gift box. More nuts = more nutrients. 20g of our Almond Milk Paste mixed with 250 ml water means you get a hefty 8% almonds in your milk. Popular brands typically have only 2% almonds while less popular but more expensive brands have only up to 7% almonds. Foodies and home chefs love our almond milk because of its taste. Commercial brands tend not to mention where their nuts come from. 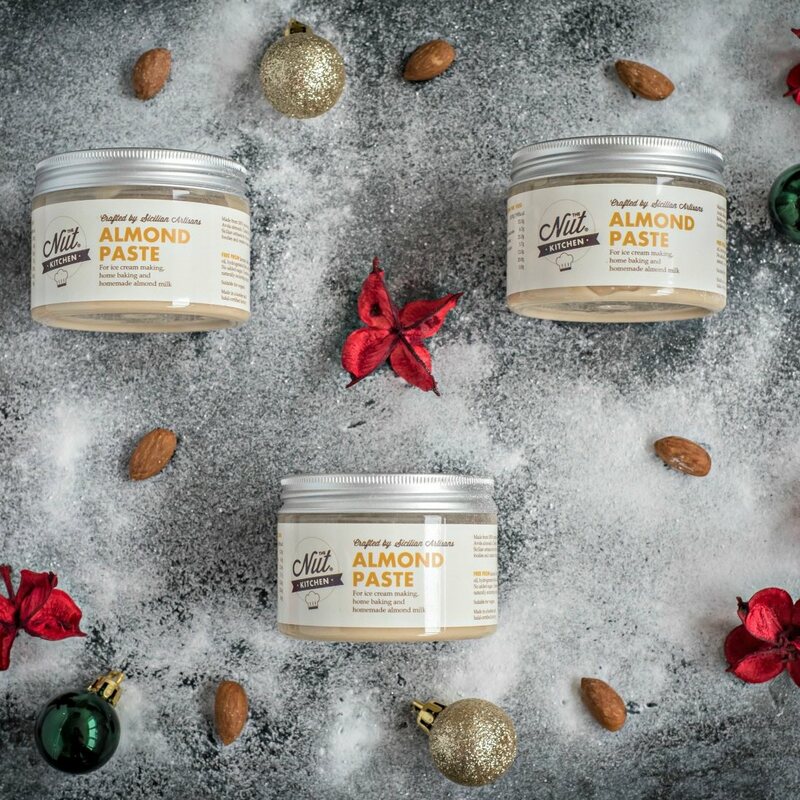 However, we are proud to say that our Almond Milk Paste is made from Avola almonds from Sicily which is why it tastes better. Almonds from this region are referred to as the "diamond" of all almonds as the region is ideal for growing almonds with a distinctively rich flavour and aroma. 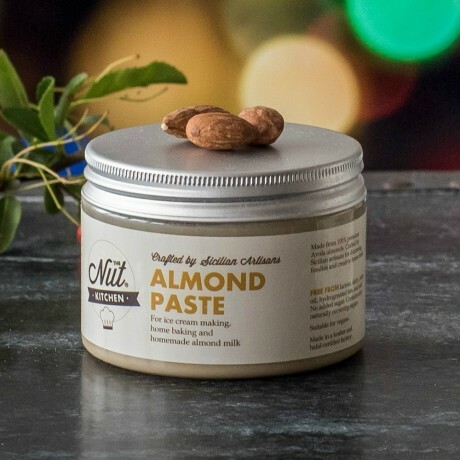 While commercial almond milk brands tend to have other ingredients in addition to nuts and water, almond milk made from our Almond Paste contains no preservatives, no additives, no extra sugar or salt. Just pure and natural goodness. Avola almonds (95%), cocoa butter (5%). Have ordered this 3 times in a short space of time. Quick delivery, wonderful moreish taste, and high quantity of hazelnut in the spread. My son (quiet fussy eater) absolutely loves it.